30 years since its inception in the 1980s, 3D printing has experienced exponential growth. Being a technology with a market size of over US$5.1 billion in 2015, according to the 2016 Wohlers Report, it has shown immense potential in complex designs that could not otherwise be manufactured by conventional methods. The technology itself has been put under the spotlight as a result of its gradual maturity and significant impact on cost savings. A survey conducted by PwC Strategy& of 38 German industrial companies in late 2015 found that more than 85% of spare parts providers will incorporate 3D printing into their business within 5 years. 54% of the respondents are industrial products companies. German suppliers estimate that in 10 years, they will save €3 billion annually by 3D printing. The survey also pointed out that some companies still hold themselves back with the traditional mindset and are not aware of the full potential of 3D printing. However, virtually all of them agreed on the importance of forging new partnerships to meet the challenges of the upcoming era of 3D printing. The most desirable partners are technology partners (material and printer producers), product development partners (who engineer 3D parts) and production partners (3D printing contract manufacturers). 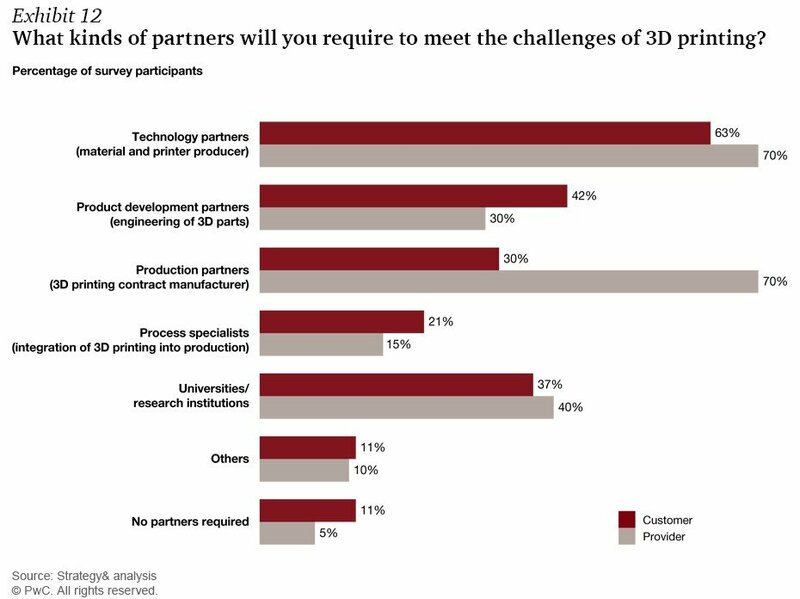 70% of the surveyed spare parts providers expressed their willingness to partner with 3D printing contract manufacturers, while 42% of the customer participants prefer to co-operate with product development partners. When it comes to the most likely partnership for providers and customers, over 60% of each turn to technology partners. Spare Parts 3D provides the service of both product development and 3D printing contract manufacturing. To be precise, our expertise helps our customers, such as OEMs and spare parts suppliers, select spare parts that are 3D printable and economically profitable, carry out industrial engineering of 3D parts and conduct standard production on demand in a distributed network equipped with best available technologies. The survey also revealed that the main challenges for 3D printing is the lack of 3D printing expertise and the lack of mature technology. 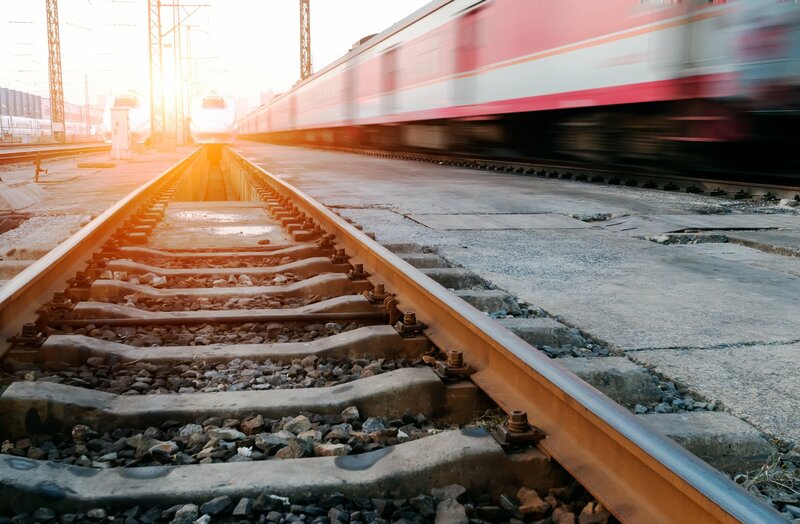 Suppliers still hold a doubtful attitude towards the maturity of the technology, the level of their own technical expertise and the availability of proper materials. They also see the need for improving the manufacturing process, material and quality – for instance, how to print qualified parts within the shortest frame of time. Since no general materials or process standards exist for 3D printing so far, companies need to explore, establish and meet the required quality for their spare parts. Spare Parts 3D owns its unique expertise on 3D printing industrialisation. Our design & industrial engineers specify, predict and evaluate the products’ quality during and after the printing process through machine, material and process control. Now that it is recognized that 3D printing is growing fast and will strongly impact the after-sales business, successful companies, as usual, will be the ones that achieve proper process implementation of 3D printing as a manufacturing technology. Read the full version of the PwC Strategy& survey here.